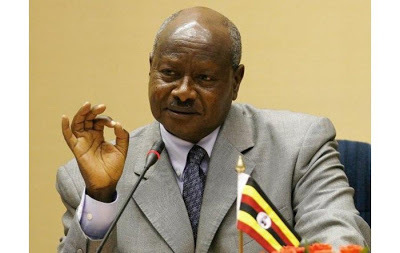 Ugandan govt bans female public servants from showing cleavage in the office – Royal Times of Nigeria. 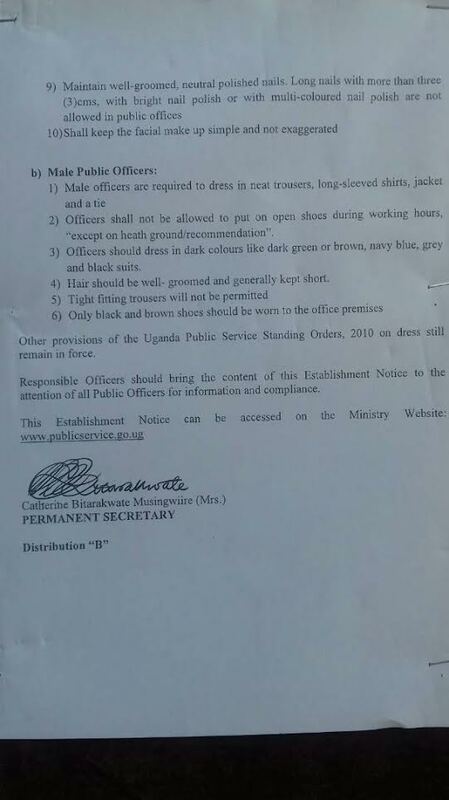 The Ugandan government through the Ministry of Public Service has banned public servants from dressing indecently to the office. 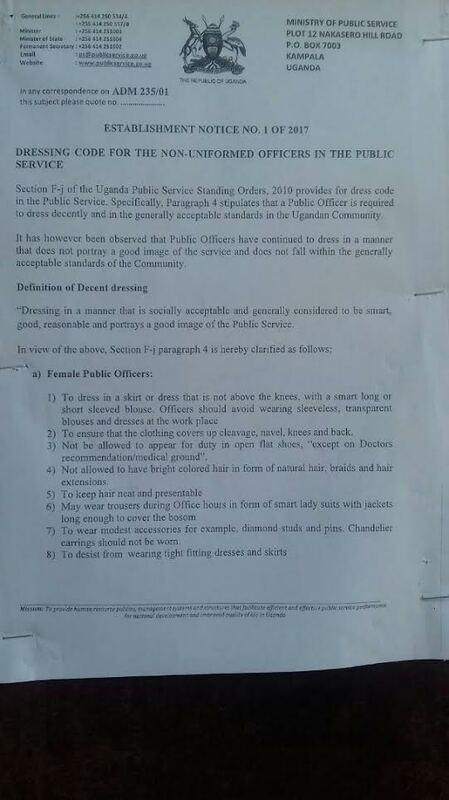 In a circular tweeted by privately owned Observer newspaper, it says women are not allowed to show their cleavage nor wear dresses or skirts that are above the knees. Sleeveless blouses or any clothing made out of see-through material are equally not permitted. Women’s pant-suits are allowed, but female public servants will not wear any tight-fitting clothing. Flat, open shoes are also ruled out, except in cases where one can prove that it is for medical reasons.